Now that I am in Brisbane for the OnStage Live Stampin’ Up! event for 3 days, I can share with you my swaps! When we attend live events, we make card fronts only to swap with our demonstrator friends for the hour or so before it all begins. The excitement is rich and full of chatter as we meet new people and swap to gain ideas that we may not have thought of creating. Anyway, here is what I created for this year’s event. I am not a confident creator of the vintage style, but I do love it and wanted to have a go seeing as this stamp set has the lacy style stamp. The floral image is coloured with Stampin’ Write Markers and the white flowers are coloured using the AquaPainter filled with bleach and dipped into a little White Craft Ink just for something a little bit different! What do you think of my swaps? Sorry I have been missing for a few days, but I was on the Gold Coast for the annual Stampin’ Up! Convention!!!! I got my hot little hands on the brand new 2015-2016 Annual Catalogue too, but I cannot show it to you just yet! But, if you would like a copy before anyone else and you are not a Stampin’ Up! Demonstrator, complete the form below and I will get one to you. And drum roll please….. the brand new In Colours were revealed and they are just gorgeous! 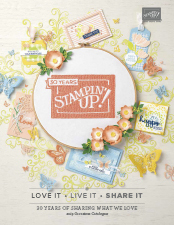 Check out the new butterfly stamp, as well as the lace ribbon, yummy new products to look forward to!!!! And here is a photo of me with my team at the Awards After Party from the photo booth! You may have noticed I have been missing lately. Well I am now home from the Stampin’ Up! Convention in my home town, Melbourne. It was my first one & wow, what an event they put on for us. Three days jam packed of fun, ink, paper, stamps, giveaways, prize patrols, make n takes and so much more. Here are some photos of our fun times with some of my team, Craftalicious. Now to look forward to Convention 2015 on the Gold Coast!!!! Can you guess what the theme was…. yes, Inspire.Create.Share. and that is exactly what we got!!!! On arrival on Day 1 it started by collecting their bags then the frenzy of swapping in the Foyer at the Melbourne Convention & Exhibition Centre. There were over 700 women running around very excitedly meeting new people. The bags were gorgeous red (Real Red) with a blue lining. The gorgeous bag tag on the left hand side was made by one of my room mates, the very talented Angela Footit, and we stayed at the Travelodge Docklands. We also got a pen with a stylus on the tip for using with a iPad or smart phone. Inside the bag was our program, lanyard, name tag and First Convention pin. 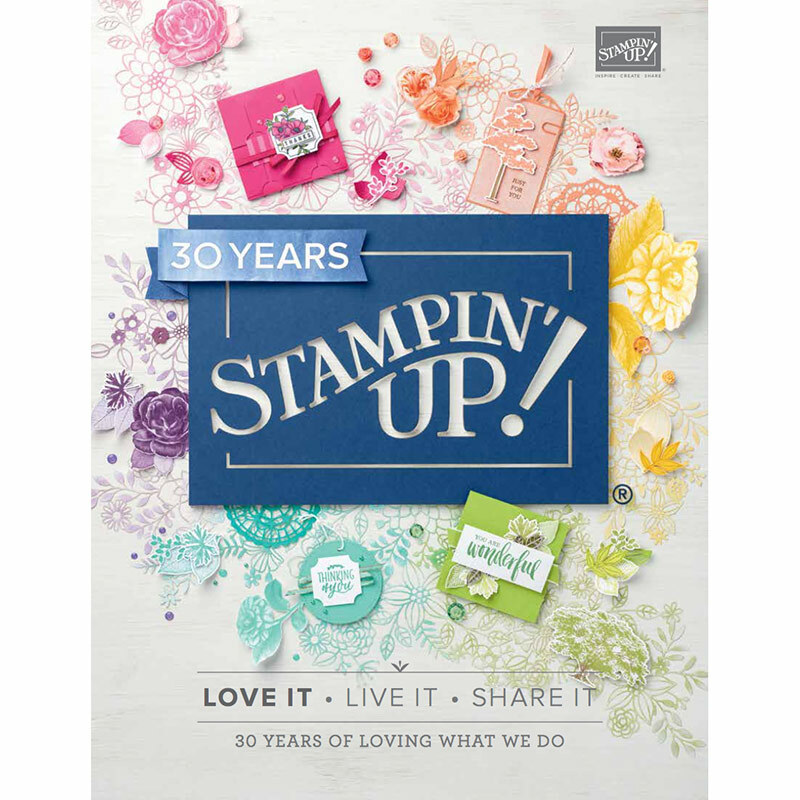 Shelli Gardner – the Founder of Stampin’ Up! welcomed everyone to Convention and got us all inspired for the days ahead. We received may awesome stamp sets from the new 2014-2015 annual catalogue to create out Make n Takes and here are some of them! Here is Angela and myself with our prizes! The amazing Stampin’ Up! team who were an inspiration to all who attended Convention! I hope to be able to share with you some more inspiring creations over the next few weeks, especially the new blendabilities which we received as a gift!! !